Decofor swing gates are designed to be combined with the Decofor panel fences. The design is in perfect harmony with the Decofor panels Arco, Recto and Wave. Frame, in-fill and post system are of an extremely rigid construction. 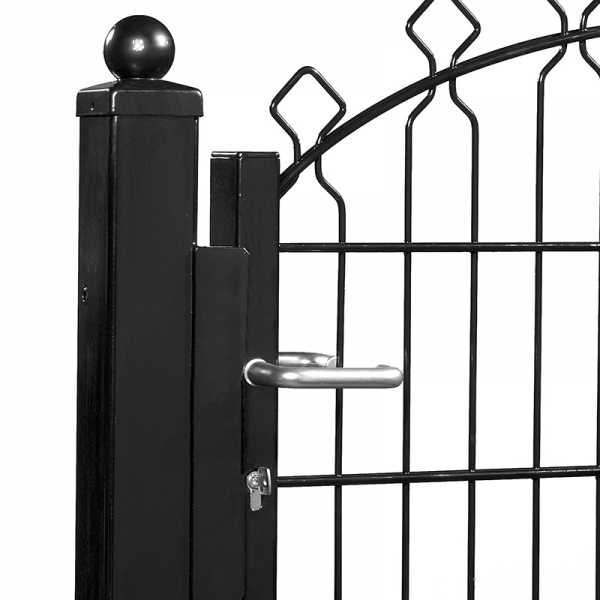 Decofor gates are designed for a fast installation, with accessories limited to a minimum. Decofor gates receive the best anti-corrosion coating that currently exists on the market: the gates first receive a protective galvanization coating. On top of this comes a polyester coating that satisfies the highest norms in the field of gloss, hardness and adhesion. Decofor gates are ideal for residential areas, parks, swimming pools, etc. 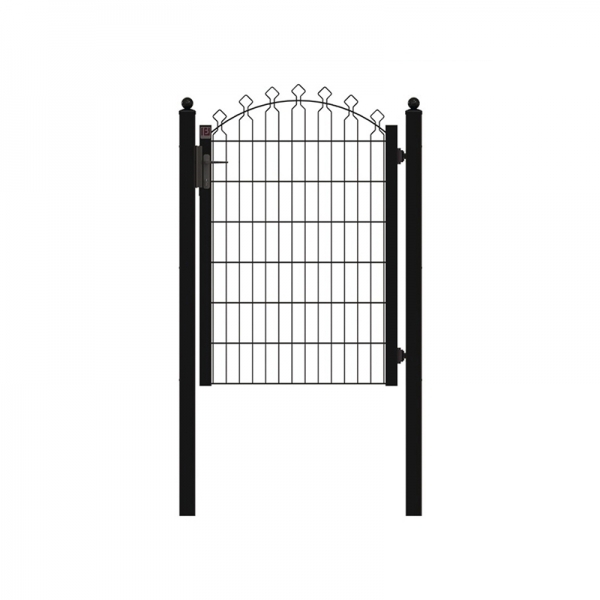 The Decofor gate frame is made out of rectangular steel tube with a profile of 60 x 40 mm. Adjustable hinges allow the wings to be opened 180°. Lock systems composed of a lock slot, a counter lock, integrated lock with cylinder and handle. Decofor panel with mesh of 200 x 65 mm is welded into the gate frame. Gates with Decofor Recto or Wave on request. 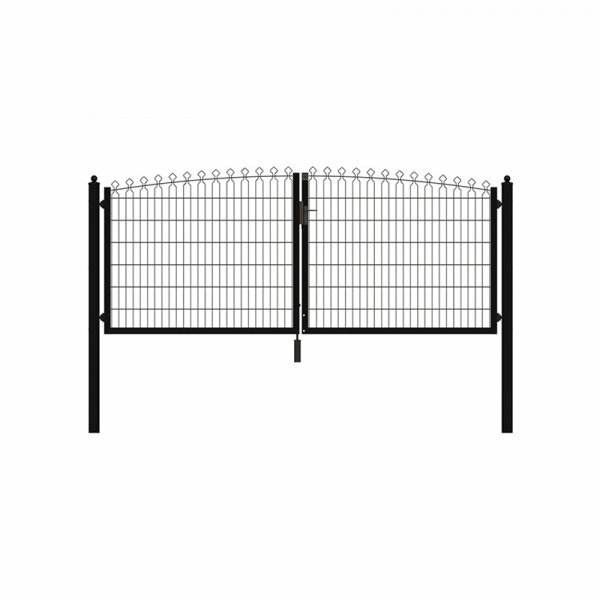 Decofor gates are standard available in black RAL 9005 and some types in green RAL 6005 and white RAL 9010. They are adapted to the different heights of fences and complete with a metal ball cap. They are supplied with inserts for the fixation of the fencing panels.